Most people depend on antacids to get relief from acid reflux. But do you know that they actually worsen the problem in the long term? Here we have provided a detailed description of root cause and other factors that cause acid reflux. If you want to skip straight to home remedies for acid reflux then you can jump down by clicking here. Otherwise, continue reading to learn more about the culprit behind your suffering. The theory proposed by antacid companies: Acid reflux is caused by excess stomach acid and the antacids works on reducing the stomach acid to keep the problem at bay. But trust me, this isn’t the actual truth at all. You don’t necessarily need to have more amounts of stomach acid to get an acid reflux. Any amount of stomach acid crawling into the esophagus can lead to heartburn as the esophagus doesn’t have a protective lining like stomach to shield it from the acid. Now, you might be thinking – If antacids are not good then why do they provide relief from acid reflux? Here’s the explanation: antacids provide temporary relief by neutralizing the acid amount in the stomach. But the truth is – reflux of acid in esophagus is just a symptom of an underlying problem. Unfortunately antacids are not capable of addressing it, thus you get recurrent acid refluxes once you stop taking them. With regular usage of antacids, you will neutralize the stomach acid to an undesirable level that leads to other problems like improper digestion, bloating, and others. The prevailing scientific study states that GERD or acid reflux is caused by a malfunction in LES (lower esophageal valve) that connects stomach and esophagus. It usually opens when we consume food and closes once the food enters into stomach. But in the case of acid reflux it doesn’t close. If LES doesn’t work properly, no matter of how less acid our stomach has, it will crawl into esophagus causing the problem. Malfunctioning of LES is caused due to intra-abdominal pressure. This pressure occurs when stomach contents including acid are pushed through LES into esophagus by the stomach gas. (2) Stomach gas can be caused due to many factors like obesity, spicy or fatty foods, bending or lying after eating and others. However these are not main causes behind it that lead to intra-abdominal pressure. Intra-abdominal pressure is caused by – bacterial overgrowth and maldigested food. Usually, our stomach acid kills the bacteria or pathogens. But when acid reduces, the pH in the stomach becomes alkaline which creates a favorable environment for bacterial growth. Due to less stomach acid, most of the carbohydrates don’t get properly digested. The increased bacteria ferment the undigested carbohydrates leading to production of gas which ultimately causes intra-abdominal pressure. Now, it is clear that we can treat and prevent acid reflux by balancing the stomach acid and decreasing the carbohydrates in the diet. These two things can be achieved by improving the digestive health. There are so many natural ingredients that are perfect for improving digestive health and reducing the discomforts caused by acid reflux. As in the case of other ailments, there are measures you can take at home. There are many kinds of food that are beneficial for treating acid reflux. You are sure to have many of the ingredients listed below in your kitchen or pantry. As per recent studies, aloe vera gel is one of the safe and effective ways to reduce acid reflux symptoms without any side effects. (5) In some instances, aloe vera worked much better than other traditional medications. Researchers have proved that it is effective in balancing acid production, reduce swelling and other discomforts caused by acid reflux. Consume 1/2 cup aloe vera juice at room temperature. Repeat the consumption daily after meals. Note: Aloe vera juice is a laxative so while buying it make sure to buy a product that has the laxative component removed. Bring 1 cup of water to boil and lower the heat. Add 1 teaspoon of dried chamomile petals and let it simmer for 45 seconds. Remove from the flame and let it steep for a minute. Strain, add lemon or honey into it and consume. The best time to drink chamomile tea is 1 hour before going to bed. Repeat the consumption daily for best results. Papain, an enzyme present in papaya is an effective natural digestive enzymes. It helps to break down the proteins, carbohydrates, and other nutrients to improve digestion process. Papaya leaf extract is one of the best ways to achieve its benefits. Eat one cup of ripe papaya or sip a cup papaya leaf tea before going to bed. Another option in curing acid reflux at home is green tea. Pineapple contains an enzyme called bromelain which helps to reduce hydrochloric acid levels in your stomach and effectively reduce hyperacidity and heartburn. Drink 4 ounces of pineapple juice after meals to solve the problem. Research states ascorbic acid present in lemon protects stomach from damage like ulcers, GERD and others. If you are facing acid reflux due to more stomach acid then alkalizing benefits of lemon can help balance it. Because when lemon juice is mixed with water, it becomes alkaline. Add 1 tablespoon of fresh lemon juice into 8 ounces of water. Mix well and consume it 20 minutes before meal. Note: Make sure to drink it through a straw as the acidic properties of lemon juice can erode the tooth enamel. Banana is one of the best remedies to treat acid reflux because it is a natural antacid. It contains potassium which helps to reduce stomach acid levels and improve digestion. Eat a banana after each meal. You can add some sugar and cinnamon powder to enhance the taste. Eating an apple before going to bed, helps to balance the stomach acid and eases the digestion process. Have it before meals to prevent acid reflux. But avoid eating green apples as they are too acidic which may aggravate acid reflux in some people. Ginger is one of the best natural ways to prevent acid reflux. Ginger contains anti-inflammatory properties which help to reduce swelling and irritation in mucus membranes. It helps to prevent stomach acid from flowing into the esophagus. It speeds up the digestion process, pushing foods into the colon and prevents gas formation in stomach. (7) It can help to relax stomach muscles and reduce the acid reflux symptoms quickly. It also strengthens the esophagus. Take 3 quarter sliced ginger root. Add it to 2 cups of water and simmer for 30 minutes. Strain and discard the ginger pieces. Consume it 20 minutes before meal. Note: We recommend consuming at least 1 teaspoon of freshly grated ginger root per day. However, if you cannot find ginger or don’t like the taste, then you can avail the same benefits by taking 1,000mg ginger capsules or 1/4 teaspoon ginger powder. Garlic works well on heartburn as it acts as antibiotic and kills the pathogenic microorganism which causes gastric problems. Chew a clove of garlic when heartburn occurs or you can store a few cloves of garlic in apple cider vinegar and take a sip of liquid when you face the problem. Or you can take garlic in cooked form. The beneficial properties of fennel improve digestion and other discomforts caused by acid reflux or GERD. (9) The anethole present in fennel calms the spams caused by gas in GI tract. It also contains anti-inflammatory properties that help to reduce the swelling and soothe the irritated mucus membranes. Add 1 teaspoon of fennel seeds into it and simmer for 5 minutes. Remove from the flame and let it steep for few minutes. Strain and consume it while warm. Repeat the process 2 – 3 times in a day until you get relief. Add 1 teaspoon of cumin seeds into a cup of water. Bring the mixture to boil and remove from the flame. Cover and let it steep for few minutes. Strain and consume the tea while lukewarm. Repeat the consumption after meals for few days continuously until you notice improvement. Steep 3 basil leaves in 6-8oz boiling water for 15 minutes. Strain the leaves and consume the tea. It helps to get faster digestion and prevent acid build up. You can take it either through curry food or any other items or capsule form. A weak acid is present in it in the form of vinegar which helps to neutralize the acid which is crawling up the throat and causing heart burn. Consume 1 teaspoon plain yellow mustard straight before meals. Or else you can add it to your salads. The beneficial properties present in cardamom helps to provide relief from stomach gas, improve digestion and reduce any discomforts caused by it. Steep cardamom pods in water for 10 minutes. Strain and consume the drink 2 to 3 times in a day. Clove contains compounds known as pinene, capsaicin, and eugenol which help to improve digestion. Add a pinch of clove powder and 1 teaspoon of honey into a small amount of water and drink it. Alternatively, you can chew few ground cloves after having meals. Add 1 to 2 teaspoons of apple cider vinegar into a glass of water. Stir well and consume it. Add honey or lemon juice for taste. Repeat the process before each meal. Note: If you are trying apple cider vinegar for first time, then start with a small dosage of 1/2 teaspoon and gradually increase to the recommended dosage. In some cases, ACV consumption can worsen acid reflux. If it is happening in your case, then avoid its consumption and try another remedy. Baking soda acts as a natural antacid, which neutralizes the stomach acid. It is one of the quickest ways to get relief from acid reflux and heart burn. Just 1 teaspoon of baking soda is enough to dispel burning sensation, stomach gas, and gnawing. Add 1 teaspoon of baking soda into a glass of water. Mix it well and consume it. Repeat the process as needed. But make sure the baking soda dosage per day doesn’t exceed by 3 1/2 teaspoons. Note: Avoid adding lemon juice to the mixture as it can increase stomach gas and worsen the problem. Milk can provide relief from acid reflux as it temporarily buffers acid by low stomach acid. It also helps soothe the protective lining of the esophagus. Therefore, drink a glass full of fat-free milk or almond milk to get rid of the problem. For some people, milk can actually worsen the problem due to its fat content. That is why we highly recommend taking fat-free milk, almond milk, and soy milk for results. You may also try yogurt as a home remedy for acid reflux. Potatoes are alkaline in nature and help to lessen the acid levels in the stomach. Eating potatoes with meals will help to reduce the problem. Organic honey acts as a soothing agent, helps to adjust the body’s pH, and neutralizes the stomach acids. So, take a spoon full of honey before bed. Almonds are known to neutralize the stomach acids, prevent heartburn, soothe irritated membranes of esophagus. After a meal, eat 3 to 4 almonds. Avoid eating more than the recommended as excess consumption can worsen the heartburn. Many researches have proved that probiotics treat hundreds of ailments including acid reflux. Probiotics contain live micro-organisms which neutralize the toxic compounds, kill the bad bacteria and improve digestive health. Fermented milk, fermented vegetables, kefir, yogurt, natto, miso, fermented tofu, kimchi, sauerkraut are some of the foods rich in probiotics. We recommend taking any one of them regularly in your diet as they help to provide relief from acid reflux. If you want to go with supplements, then look out for probiotic supplements which can maintain viability without any refrigeration. Slippery elm contains mucilage which is a starchy carbohydrate that swells up to form a slippery gel when mixed with water. This slippery elm coats the irritated mucous membranes in the esophagus, stomach lining and neutralize the stomach acids. Stir 1-2 tablespoons of Slippery Elm root bark powder into a glass of water. Stir well and consume before going to bed. To improve its taste, you can add a little bit of honey. Note: It is better to start with a small amount of powder until you get accustomed to it. Due to its stomach healing properties, licorice root is highly effective in treating even the chronic acid reflux called GERD. (8) It also helps soothe the mucus membranes, protective lining of GI tract and reduce gastric spams. Add 1 ½ teaspoon of licorice root into a cup of water. Bring the mixture to boil and simmer for few minutes. Remove from the flame and strain it. Consume the tea while it is lukewarm. The best time to take it is 15 – 20 minutes before meals. Repeat the process 2 – 3 times in a day. Note: For some people who are on medication, pregnant, breastfeeding or suffering from any chronic diseases, it is better to consult a doctor before its consumption. Supplements: If you don’t like licorice tea consumption, then you take its supplements to get the benefits. We recommend taking chewable DGL tablets. Because it becomes more effective when mixed with saliva. Recommended Dosage: Chew 2 tablets 20 minutes before meals, 3 times in a day. If you are suffering from acid reflux mostly during nights, then take it before going to bed. Into 1 quart of water, add 2 tablespoons of dried marshmallow root. Cover and leave it overnight. Next morning, strain and discard the root. Drink the solution slowly few times in a day until your condition improves. Gooseberries can heal the digestive tract and protect it from stomach acids. You can have them raw, in tea or in cooked form. However, it is better to use them in moderation. Agrimony, also known as Stickwort or Cocklebur etc., helps to prevent acid reflux by removing unnecessary acids from the stomach and helps in easy digestion. It is very effective when consumed with milk. Take it when you feel heartburn and gets instant relief from it. Take 1/2 tsp of cream of tartar with 1/2 tsp of baking soda. Take 1 tbsp of apple cider vinegar with 1 tbsp of honey. Alcohol: For some people taking alcohol in moderation or small amounts make them feel relieved. But beer, wine, liquor are some of the worst culprits for acid reflux. While consuming alcohol make sure to take them in small quantities with more amounts of water. Caffeine: Tea, energy drinks, coffee and other drinks that contain caffeine can irritate the protective lining of esophagus and alter the working condition of sphincter. Processed and Packaged Foods: Foods that are packaged contain high amounts of salt, sodium and other chemical preservatives. As per a study conducted in Sweden on 1,000 people confirmed that – people who consumed high amount of sodium in their diet had high rates of acid reflux than who didn’t consume. Spicy Foods: Spices that “burn” , such as pepper, chili, cayenne, worsen the heart burn by irritating the membrane of esophagus and stomach. Dairy Products: This is not suitable for everyone as the reaction to dairy products is different from one person to another. For some people milk provides immense relief. However, for some it can worsen the problem because of the fat content present in it. Fried Foods: Our digestive system takes a long period of time to digest deep fried foods. As a result, they can stay in the stomach for a long time which can worsen or trigger acid reflux. Vegetable Oils: Processed vegetable oils including canola oil are not good for health. A lot of packaged foods are often prepared using these oils which can trigger inflammation and acid reflux. Chocolate: As many chocolates contain caffeine, sugar, fats and processed ingredients, it is often considered one of the triggers for worst acid reflux. Carbonated Beverages: This includes sparkling water, alcohol, instant energy drinks, and other soft drinks are also one of the causes for chronic acid reflux. Vegetables: Onions, tomato, commercial tomato juices should be consumed in fewer quantities. If consumed in large amounts, it can trigger an acid reflux. Fruits: Citrus fruits and its juices are high in acid content this makes them the one of the triggers for worsening acid reflux. Mint and Peppermint: Mint and its products can worsen the acid reflux as they are capable of lowering pressure in esophageal sphincter. Reduce Salt: Studies conducted in Norway state that people who took salt rich diet in meal were more prone to acid reflux attacks. Reducing salt consumption is one of the simple solutions. Processed grains, creamy or oily salad dressings are some of the other foods that should be avoided while suffering from acid reflux. For a better food option and diet, oatmeal is a great home remedy for acid reflux. Low HCL levels in the stomach lead to improper digestion and this can lead to acid reflux. This supplement strengthen GI tract and improve digestion. Recommended dosage – 650 milligrams after each meal. If you are experiencing improper digestion, then these supplements can help to produce enzymes that digest the carbs and nutrients properly. This can gradually prevent digestion problems like acid reflux, heart burn, stomach gas and others. Recommended Dosage – 1 or 2 capsules before each meal. Citrus peel extract also known as d-limonene which provides a protective lining to esophagus and stomach. So, it can provide relief from the heart burn and discomforts caused by acid reflux. As per a study, people were given 1 gram of d-limonene for 20 days on an empty stomach. They consumed it either 1/2 hour before eating or 1 hour after eating. After 2 weeks, 90% of them got complete relief from the problem. The results lasted for up to six months. Recommended Dosage: 1 tablet 1 hour before or after meals. As mentioned earlier, the good bacteria are very effective in balancing the GI tract and combat the bad bacteria that cause leaky gut, acid reflux, yeast infection and other. Recommended Dosage: 25 – 50 billion units of probiotic supplement once per day before going to bed. Recommended Dosage: 5 grams of glutamine powder 2 times in a day. Recommended Dosage: 400 milligrams twice a day. Recommended Dosage: 6 milligrams of melatonin once in the evening daily. Take 250 mg of calcium nitrate powder and dissolve it in water. Drink this at least 4 times a day. Pregnancy: During pregnancy, developing fetus can cause pressure on the LES which leads to acid release and other discomforts. Consuming herbal teas, smaller meals, and slightly elevating the head while sleeping can help. Hiatal Hernia: diaphragm is big dome shaped muscle that separates part of the stomach and other digestive organs. In the back part of the diaphragm, a small hole is connected to the esophagus. A hiatal hernia takes place when the stomach bulges above the diaphragm which allows the acid to escape. Large Meals: An overly full stomach causes excessive pressure on the diaphragm that leads acid to travel upward. Consuming meals or snacks until you have a full stomach before going to bed is one of the reasons for acid reflux in the morning. Inflammation: Many studies have confirmed that GERD development is closely associated with inflammation as it can lead to dysfunction of esophagus and tissue damage. Older Age: As we age, our capability of producing enough stomach acid is decreased. This often flares up acid reflux, heartburn, and other discomforts. Obesity: Extra weight puts extra pressure on LES, esophagus, and sphincter which allows acid release. Apart from that GERD symptoms rise proportionately to low levels of stomach acid. H.Pylori: H.Pylori is a very common infection in 1/3rd of the population. Heartburn, acid reflux and other GERD symptoms are sometimes an indication of H.Pylori infection. It is left untreated, then it can lead to severe infections and sometimes lead to stomach cancer. Magnesium Deficiency: This can often lead to improper sphincter functioning which is responsible for preventing acid from escaping. Excessive Exercise: Due to getting a very small amount of rest and overtraining, a pressure builds up in the abdominal cavity. Aerobic high-impact and running can also lead to acid reflux. Heartburn, Acid Reflux, and GERD: Are They Same? All these three conditions are caused by digestive disorders and have similar symptoms. However, they develop in different stages. Heartburn is a common name of GERD. It is a symptom which refers to the burning pain in the chest. Apart from that, other symptoms of GERD include wheezing, chest pain, coughing, difficulty in swallowing and others. You can observe these symptoms mostly at night. Mostly acid reflux is not a big deal if experiencing for few times in year. However, chronic or severe ones for a longer period of time can lead to serious complications. Here are few general tips and precautions you have to consider for preventing and treating acid reflux. Chewing gum would actually relieves your heartburn by neutralizing the acid in your esophagus. Apart from that, chewing gum stimulates production of saliva which may help to clear up the acid present in the esophagus. Increase in the natural production of HCL in the stomach is one of the initial steps to prevent acid reflux. It is better to use sea salt instead of table salt. You can also take HCL supplements for treating acid reflux. Tight clothes can cause pressure in the chest and abdomen areas which leads to heartburn. Because it can create pressure on lower sphincter and the stomach contents will get pushed into the esophagus. Carbohydrate foods produce gas if they are not digested properly. The gas puts pressure on the abdominal area which leads acid spillage in the esophagus. Consuming lots of chocolate weakens your lower oesophageal sphincter and worsen the heartburn. It is therefore advised to cut its intake. This may be attributed to the action of gravity. Elevating the head keeps the acid down in your stomach, relieving your symptoms. Eating close to bedtime may worsen your acid reflux symptoms and make them stay longer. This is because acid production by our stomach increase after each meal and it does not wear off until 3 hours. If you go to bed while acid is still at peak levels in your stomach, some of it may reflux into your esophagus. This might not be fully practical since you twist and turn between both sides when you sleep, but sleeping on your right side has been known to worsen symptoms of acid reflux. The esophagus enters through the right side of the stomach, therefore if you sleep on that same side, it may seem as the stomach lifts up to fill the esophagus causing acid reflux. If you sleep on your left side, you pull your stomach farther from the esophagus and avoid an acid reflux. Right after eating or drinking something, it is better to avoid lifting heavy weights or bending over. It is better to wait for at least 1 or 2 hours after eating. Stress and anxiety leads to hormonal imbalance in the body which can have direct impact on the digestion. So, do yoga and breathing exercises to reduce stress levels and anxiety. This implies inflammation and damage of protective lining of esophagus. Persistent exposure of the esophagus to acids damage and trigger an inflammation. If you have esophagitis, you would find it very difficult and painful to swallow anything. For example, when your skin is nicked or cut, it heals with a scar, the same thing applies to esophagus when it has been exposed to acid for a long time. The inflamed esophagus then heals up with a scar which might be so huge that can cause both ends of the esophagus to close. If you have been having acid reflux, and feeling difficult in gulping the food down your gullet, then you might be having an esophageal structure, which is often treated via surgery. This is a term given to formation of pre-cancerous disease in the aspect of the esophagus exposed to the stomach acid. Prolonged and regular exposure of the esophagus to acid begins to alter the cell structure, changing them to pre-cancerous cells called Barrett Esophagus. This has the potential of becoming cancerous. First, when you visit a doctor, he may ask you to tell about the symptoms you are facing and confirm whether it is acid reflux or other issue. This is also called esophagogastroduodenoscopy! This procedure involves using an endoscope- a long tube with a camera at the end of it- to view the inner surfaces of esophagus, stomach, and upper part of your intestine, and the duodenum. The images seen are projected to a large screen so that you might also be able to see it. This is a procedure done to check the pressures within your esophagus and the pressure in the upper and lower esophageal sphincters. With this procedure, your doctors can find out whether your lower esophageal sphincter is abnormally weak or not. This test is the standard for diagnosing acid reflux. It involves using a small device which monitors the acidity levels of your esophagus for a 24-hour period. The results show the amounts of acid leaks into your esophagus. Antacids are alkaline solutions which help to neutralize the acid in your esophagus and stomach. They provide symptomatic relief from your acid reflux symptoms. Examples of antacids include aluminum hydroxide, calcium carbonate, and magnesium oxide. You can get any of the antacids at your local pharmacy store without a prescription from your doctor. Histamine-2 receptors are the binding proteins through which histamine stimulates the stomach to produce more acid. These drugs block histamine from binding to these receptors and prevent production of stomach acid. Examples of these drugs include ranitidine, cimetidine, and famotidine. They can also be obtained without your doctor’s prescription. These drugs are the first line of drugs which your doctor would prescribe if your symptoms are mild or moderate. Common side effects of these drugs include abdominal pain, dizziness, vomiting, and nausea. Proton-pump inhibitors, as their names imply, inhibit proton pumps. These are protein structures which are involved in the generation of acid in our stomachs. Examples of these drugs include omeprazole, lansoprazole, and rabeprazole. They are the most powerful drugs used in treating acid reflux. You can get them without a prescription from your doctor. When you have used these drugs, even employed the home remedies and nothing seems to work, your doctors would advise you on surgery. Additionally, surgery is recommended if you have developed Barrett esophagus or if the symptoms move from the esophagus to other areas causing cough, wheeze, sore throat, and tooth decay. The surgery is called Fundoplication and it involves wrapping the part of your stomach close to the lower esophageal sphincter creating a new valve. Acid reflux refers to a condition stomach contents leak into the esophagus causing pain beneath your breastbone. This pain is referred as heartburn. Factors which lead to acid reflux include intake of caffeinated beverages, alcohol, citrus juice, tomatoes, and chocolate. You can reduce the discomfort you get from acid reflux by using some home remedies which are as effective as some anti-reflux drugs. Your doctor would only give you these drugs if your home remedies have not been so effective. If both prove ineffective, your doctor would recommend surgery. Trying out coconut oil as a home remedy for acid reflux along with coconut water has proven to be effective as well. What has your experience been with acid reflux? What remedies helped you resolve the symptoms? Will honey make blood sugar level rise? If taken in large amounts then honey can raise the blood sugar level. So take it in moderate amounts. People with diabetes should avoid it. What is the side effects for taking antacid for long time? Is there any remedy by using home made product against acid reflux? Regular usage of antacid can cause diarrhea, constipation, nausea, muscle weakness, loss of appetite and lower phosphate levels. 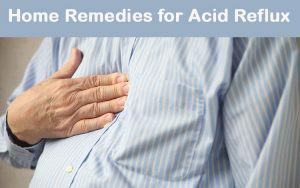 Homemade remedies to deal with acid reflux are mentioned above. 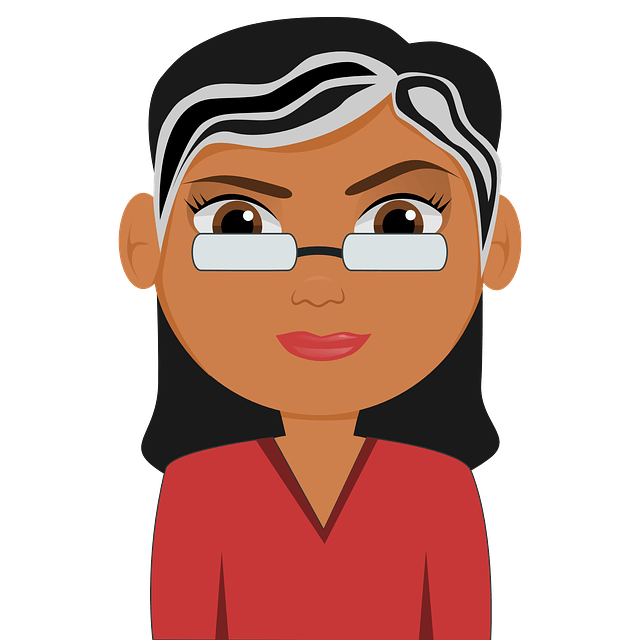 Hi, I think that I have silent reflux, I don’t experience any discomfort in the stomach but have a lot of the other symptoms. Will the above advice help with this please? It is better to consult the doctor to get diagnosed. Once it is confirmed as acid reflux, then you can follow any remedy mentioned above to get relief from it. I’d been the hospital for few days because of gerd, now i am home but i’m still hurt in my stomach. I do the diet and consume omeprazole and procepsa for medicine. It’s been almost 2 weeks,why is still feel almost the same in my stomach? Is the recovery takes a long time? Or I can’t be health again? Also, my throat is so sick since I got home. It is better to check with your doctor you have been consulting. Yes, acid reflux can be treated completely. Follow any remedies mentioned above. Apart from that eat smaller meals more frequently, eat food rich in minerals, vitamin B-complex and folate, avoid oily foods, wear loose fitted clothes, control your weight and drink plenty of fluids to eliminate the problem completely. Hi admin. Is there a particular remedy for bad smelling breath, which could be a result of acid reflux? Vitamin b12 foods include beef, liver, cheese, eggs, low fat dairy products and sardines. Mineral rich foods include legumes, cheese, meat, sweet potatoes and nuts. hi, the pain i feel is sometimes sharp around the left rib cage to my back. and some times feel pain at my chest. could home remedy like mixture of garlic, ginger and honey help prevent and heal? Take a wood (never metal) tbsp of it in a glass of water, once a day for 2 to 3 weeks, and you’re good to go. Entirely safe and natural. I’m taking Aloe Vera Juice 30 mins before every meal and ACV after meals. Is this the correct approach? Thank you!